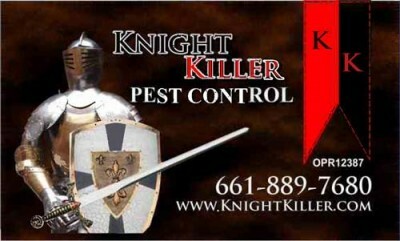 Welcome to Knight Killer Pest Control. We offer service with 9 years experience at a great introductory rate. From fleas, to roaches and rodents, we are here to serve you with quality service you can count on. • We treat the foundation of your home! • We treat the fence line! • We remove the webs from the eaves of your home and around the windows and doors.